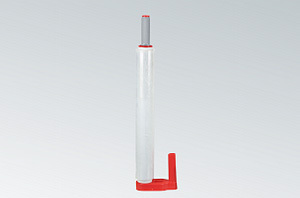 Dispenser SP 50 is a tool for easy and reliable stretch film wrapping goods. Suitable for maximum roll width up to 500 mm and a diameter of 50mm. The device is made of plastic so it is very lightweight and ergonomic handles for permanent workers.